If you are looking for a comfortable village to visit the Costa Smeralda and its beautiful coves, the Isola dei Gabbiani is ideal as it is only 30 km from this popular destination of Sardinia. Famous especially for its social life and the attendance by international VIPs, the Costa Smeralda also offers wonderful natural views of turquoise waters and granite rocks shaped by the winds. Staying in our Village you can fully enjoy the wonders of the Costa Smeralda but living your holiday in a place surrounded by nature and with all the services of the best tourist villages in Sardinia: comfortable accommodation a short walk from the sea, an excellent restaurant, a beautiful beach and many opportunities for an active holiday with friends and family or romantic and relaxing in pairs. The Emerald Coast and Porto Cervo are less than half an hour's drive away and await you for glamorous evenings, fun nights or beautiful days discovering the natural treasures of this part of the coast of North Sardinia. Among the beaches definitely worth a visit are Capriccioli, Liscia Ruja, the Prince's Beach, La Celvia and the Small and Big Pevero. 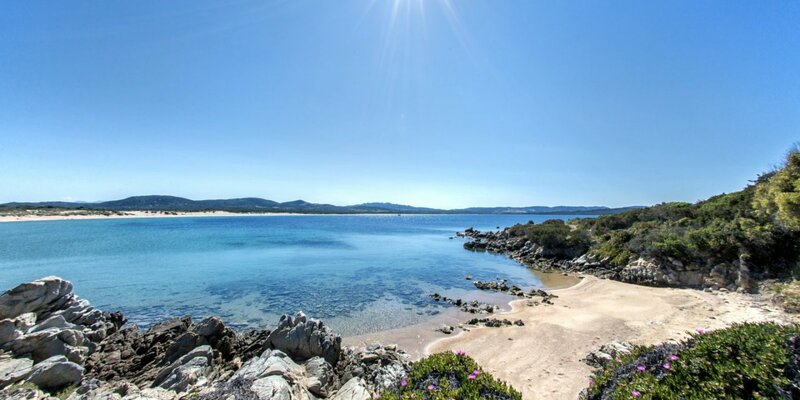 Remember that, as for all of Sardinia, the Costa Smeralda also offers the best of itself during the low season, when even the most famous beaches are less crowded. So discover the offers of Isola dei Gabbiani for the spring/summer 2019 start discovering one of the most beautiful corners of Sardinia!